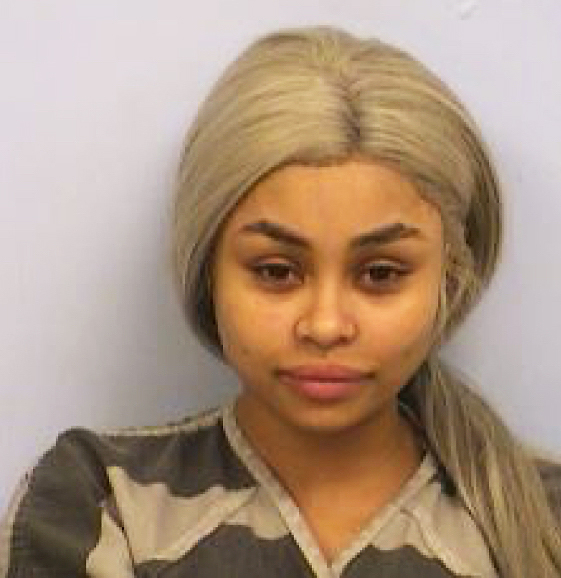 Blac Chyna was arrested at the Austin-Bergstrom International Airport in Texas on Friday, January 29, but the situation is more serious than was originally reported. In addition to public intoxication, Chyna has also been charged with drug possession. According to court documents obtained by Us Weekly, the TV personality and new love of Rob Kardashian was kicked off her British Airways flight from Texas to London on Friday. Chyna, 27, whose real name is Angela Renee White, then retreated to the airport bar Saxon Pub. When officers approached Chyna at the bar, she wouldn’t leave with them, “dragging her weight and refusing to walk.” She had to be carried out by two officers. A search of Chyna’s bag produced two small pills that equalled 1.26 grams of ecstasy, and she was charged with third degree felony possession. Chyna’s bail was set at $8,000 with a required drug evaluation and counseling in California. She did not request counsel. As was previously reported, the often elusive Kardashian drove from Los Angeles to Austin, Texas, to pick up his new sweetheart after her arrest.